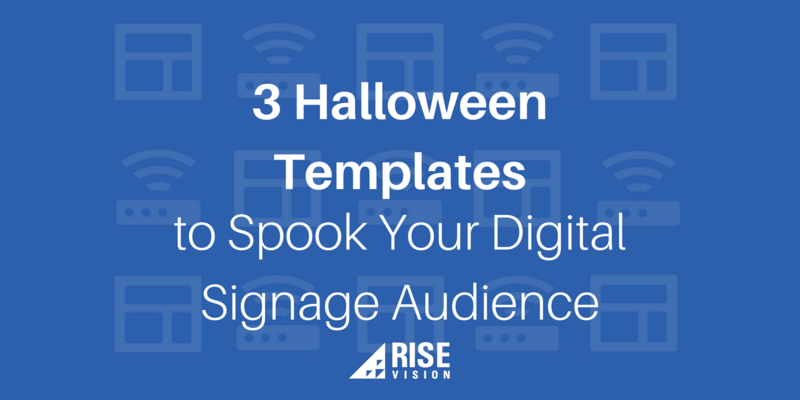 Your audience loves to see when you update your digital signage content. And that’s because fresh content is relevant content. Our audience tells us all the time that they wished updating content took less time. Our Creative team has built a library of premade templates for you to update your content faster and easier. Are you using the Template Library yet? If not, it just takes a minute to get started for free using dozens and dozens of professionally-designed templates. Have we mentioned - no matter how big or small your digital signage goals are - it’s free to get started? In this post, we’re thrilled to be showing off the Creative team’s latest content creations we’ve made for you. Have ideas for Presentations that would help you communicate with your audience? Let us know what we should create next! Getting started with Rise Vision is always free, and we offer 30 days for you to decide if the Template Library is for you. At the end of the 30 days, the templates you’ve created are yours to keep (whether or not you decide to subscribe). We almost forgot to ask, have you checked out our professionally-designed templates from August? As always, we’d love if you reached out to us with any questions or comments.